Research proves it - your teeth reflect your overall health. You want an affordable Greenwood area braces dentist who's trained to recognize the earliest symptoms of crowding and misalignment so they can be treated early, before complication arise. Call us today for an orthodontics evaluation. Orthodontist, Dr. Rebecca Bolon and her staff are friendly and will put you right at ease. At Rebecca Bolon Orthodontic Care we offer the most up-to-date methods to straighten teeth , so even the most fearful patients feel right at ease. Learn about all the dental braces options we have to offer, from traditional metal, to natural-looking ceramic braces and braces for adults. You'll see why so many of our patients say they wouldn't go anywhere else! Make an appointment today by calling (317) 846-6107 for a healthy, straight, more beautiful smile tomorrow. Or fill out the online form for easy scheduling. We have flexible office hours to fit your busy life. And if you have questions about the cost of braces, our team will be happy to explain the range of financial options that may be available to you. Dr. Rebecca Bolon has a gentle touch and provides comfortable cleaning for a whiter smile. Offering orthodontist in the Greenwood, Indiana area, Dr. Bolon assures you that a bright, healthy smile is the result of regular, preventative, professional dental cleanings. If you're looking for affordable orthodontic braces in Center Grove you don't need to look any further. Orthodontist Rebecca Bolon, D.D.S., is the braces dentist that Center Grove residents trust to deliver experienced and professional dental care. Saliva is the body's self-cleansing mechanism. It helps remove food, debris, and plaque from the tooth surfaces, protecting you from oral diseases. It cleans your teeth and neutralizes acids, which prevents tooth decay. People who have dry mouth are very susceptible to cavities, especially on the roots of their teeth, so please call us today at (855) 460-3529 to schedule a consultation with Dr. Rebecca Bolon. These benefits, often part of your employer's insurance program, are typically lost if not used. Please do not wait for the end of the year to take advantage of your dental insurance benefits, when our congested schedule at Rebecca Bolon Orthodontic Care may make it difficult to accommodate you at a convenient time for your own schedule. Call today at (855) 460-3529 to ensure your best health - particularly if you're due for your regular check-up and cleaning! Mouthwash can not only freshen your breath, but kill germs and bacteria that lead to cavities. Try to select a formula with fluoride. Many contain alcohol, which dries up the protective saliva in your mouth, so it's best avoided. While mouthwash a wonderful dental product, however, please remember that it cannot replace regular flossing and brushing. Remember, your dental health is our first concern at Rebecca Bolon Orthodontic Care. 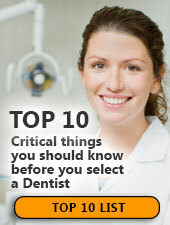 Please do not hesitate to call our office at (855) 460-3529 with your dental care questions, or to schedule a check-up!